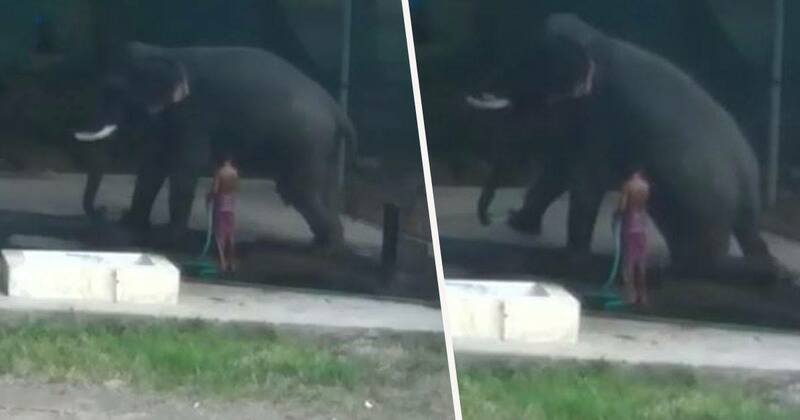 An elephant crushed its ‘carer’ to death when the man beat the poor animal and slipped underneath it in the process. 40-year-old Arun Panikkar was washing the elephant in Karappuzha, in the Kottayam district of Kerala in southern India, when the unexpected turn of events took place. Arun reportedly worked as a mahout; someone who works with, rides, and tends to elephants. The one in his care at the time was said to be owned by a local hospital trust. The carer was trying to make the huge animal lie down so he’d be able to reach its back, but the elephant seemed reluctant. In an attempt to make the animal do as he wanted, Anur hit the peaceful creature with a stick. 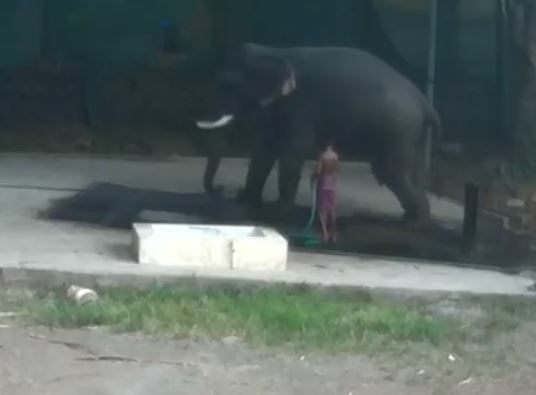 Shockingly, the man’s beating was so aggressive that he lost his balance on the wet ground and slipped underneath the elephant, at the exact moment the animal decided to do as it had been told. CCTV footage caught the unbelievable moment on camera, and showed another man rushing to help Arun. 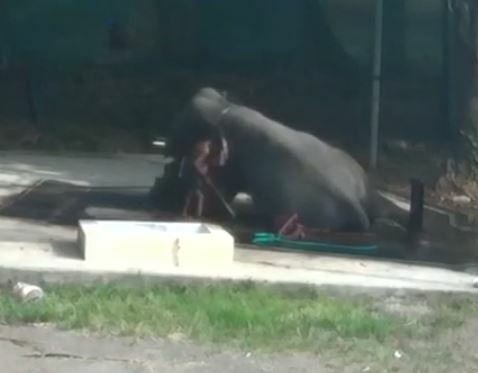 Of course, the animal was much too heavy for the man to push out of the way, so he struggled to help the trapped mahout. He used a stick to encourage the elephant to move and eventually managed to pull the creature’s carer from beneath it, but it was already too late. A later examination revealed Arun had been killed instantly as the heavy animal had crushed the mahout’s skull when it sat on him. An investigation into the freak incident is being carried out. People on social media have had mixed opinions about the events, with some showing sympathy for Arun while others have argued he should never have beat the animal. 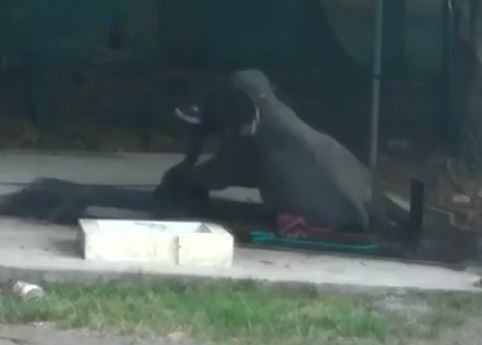 Presumably before his death had been confirmed, one person said they were praying for the mahout, while another commented ‘praying for the guy beating the elephant in order to bend its knees? Sure…’. Hopefully the animal wasn’t harmed any further.